Read the Minutes of the November meeting here. FEDAGA HAS STARTED AN EXCITING NEW BLOG Read more here. Back row: Jon Gray (Warriston); Ernie Watt - Secretary (Cambridge Avenue); Mary Simpson (Saughton Mains); Alice Bain (Warriston); Alison Hewitt (Warriston); Stuart McKenzie (Inverleith); Peter Wright (Lady Road); Dave Roberts - Treasurer (Telferton and Restalrig); Paul Kerr (Redhall). Front row: John Grace - Show Secretary (Midmar); Neiria MacClure (Claremont Park); Maureen Edwards (Lady Road); Jenny McKenzie (Dumbryden); Rosina Weightman (Saughton Mains); Gilbert Clark (Midmar). The FEDAGA Annual General Meeting took place on Tuesday 25th October. You can read the Minutes here. Read the Minutes of the October meeting here. 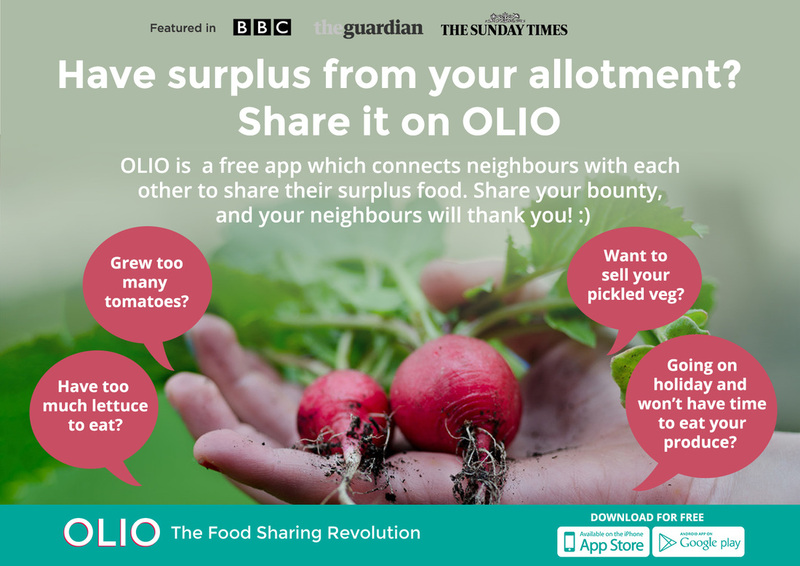 Allotment Strategy: Cultivating Communities – A Growing Success. Click here to obtain an overview, a survey to use to comment and the draft strategy document. You have until 7th October if you wish to comment. Read the Minutes of the September meeting here. The FEDAGA Annual General Meeting will take place on Tuesday 25th October 2016. Papers have been sent out to all sites for which we have a representative. These can be downloaded here. The draft agenda can be read here. Colinton Community Compost is Soil Association registered, PAS 100 and has a size of under 10mm, so no need to sieve. 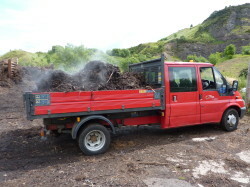 The normal price for compost is £65.83 a cubic metre (plus 20% VAT so actually £79). This is a big saving on the 40 litre bag price of £4.50. There is a special offer of £10 reduction in every cubic metre for this autumn plus small delivery charge. For more information including contact details click here. Friends of Granton Walled Garden are campaigning to save the late medieval walled garden from development with a view to restoring the garden and existing orchards for community access and activity. The garden is thought to be one of the oldest undeveloped walled gardens in Edinburgh. Click here to read more of the group's ideas for development and join the campaign. The FEDAGA Apple Press is available for use by affiliated sites. If your site could use it please contact FEDAGA. Claim your FREE packet of wild flower seeds. For more info click here. See pictures of the 2016 Edinburgh Allotment Show here. Gardening is a wonderful pastime to improve the quality of life for people with disabilities. As well as physical and mental fitness, gardening improves social bonding, helping to bring people out of isolation, encouraging the mixing of people of all abilities and all generations; fighting the segregation often faced by people with disabilities. 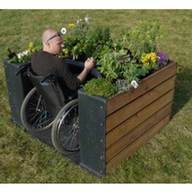 Five years ago a group of French architects and artists got together with disabled gardeners to create the TERRAform wheelchair accessible allotment and TERRAform is now available in the UK. Boxes can be linked together or kept separate depending on intended use and the layout of the site. The unique cutaway casing which gives ideal wheelchair access is highly durable polyethylene and is 100% recycled and 100% recyclable. The wooden sides are preservative-treated European Douglas Fir. They can be assembled in minutes without specialist tools. Click here to read the Minutes of the FEDAGA Management Committee Meeting for July 2016. Duddingston Community Field: Opportunity for those in the queue waiting for their allotment offer. ...this could be the start. The Field Group was formed to take over the management of a field on the slopes of Arthur’s Seat. Work by local people and volunteers from the Woodland Trust has resulted in the creation of a diverse habitat to include woodland planting, managed grassland, and planted orchards and apple tree nursery. The Field is now providing a richer bio-diverse link between Holyrood Park, Meadowfield Woods and Duddingston Village Community Land. Furthermore the Field offers a new public pathway between the village, Meadowfield Woods and Holyrood Park. Because of this more and more local people are regularly passing through, using the Field for access, recreation, volunteering and socialising. Click here to read the Minutes of the June 2016 meeting. Watch the video here - More info and download the app here. Click here to read the Minutes of the May 2016 meeting. This year's annual Scottish Allotments Conference (and AGM of the Scottish Allotments and Gardens Society) will be held in the Victoria Halls, Dunblane on Saturday June 18. There will be speakers from the newly elected Scottish Parliament to give updates on progress with the guidance and secondary legislation associated with the Community Empowerment Act. Allotment Association Committees will find themselves with greater powers to manage their site in accordance with the wishes of their plot holders. However with power comes responsibility and the possibility of risk. Speakers with practical experience will explain how plot holder wishes can be ascertained and suggest legal ways to protect committee members from liabilities. After lunch speakers will focus on practical issues - the protection of butterflies, how to enthuse kids about allotment growing and how to source and grow exciting and delicious potatoes. Click here for the Minutes to the FEDAGA Management Committee Meeting for April 2016. If allowed, the application would have been a departure from carefully designed Local Development Plans, in particular with regard to preservation of open space. It would have set a dangerous precedent. FEDAGA estimates that Avant Homes has already spent £150K on working up arguments in favour of the development and are likely to appeal to the Scottish Government, so the end of the story has not yet been written. It is heartening that the Council has accepted that the allotments represent "high value amenity". For further evidence, you can watch this short video featuring some of the allotment holders themselves. FEDAGA congratulates Craigentinny Telferton allotments for fighting successfully for the preservation of their site. Click here to read the Minutes of the Management Committee Meeting for March 2016. Training opportunities at Bridgend Growing Communities: "An Introduction to Organic Vegetable Gardening"
Further details on the Events Page. Click here to read the Minutes of the Management Committee for February. Read the Minutes of the Management Committee meeting of 12th January 2016 here. Click here to read the Minutes of the Management Committee for 8th December 2015. SAVE CRAIGENTINNY & TELFERTON ALLOTMENTS – THE TIME FOR ACTION IS NOW! The Craigentinny and Telferton Allotments, near Portobello, are threatened by developers. Plans have been submitted which would see the loss of over 50% of these historic allotments. The application is for planning in principle, which means the plans could result in a much larger development that could see the total loss of these allotments. Despite what the developer says, there is no guarantee on whether any allotments will be retained. We believe the plans are misleading and suggest the developer will create “new” allotments, whereas for the last 90 years the site has been in continual use as allotments, worked and managed by the local community. The developer is trying to give the impression that they will be gifting allotments to the City of Edinburgh, but in actuality they are proposing a loss of over 50% of the site. Our use of the site as allotments has been recognised by the City of Edinburgh Council, who this year awarded us a Certificate of Lawfulness. The developer has suggested the allotments are not well managed, however they are maintained to a very similar standard to that of Edinburgh Council allotments. Craigentinny and Telferton Allotments have been accepted by the Scotland’s Gardens Open Day scheme and when they inspected the site they found it to be charming and attractive. 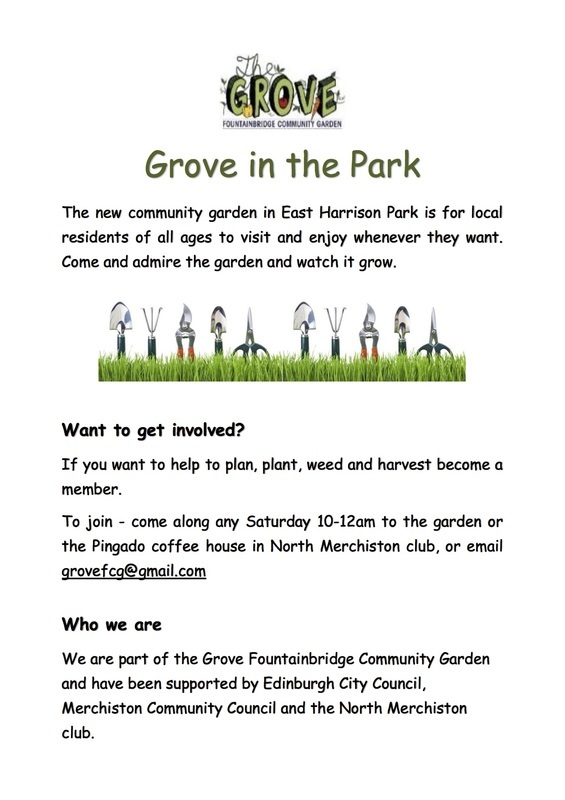 The local community have been benefiting from this site for over 90 years as a place for growing food, which also has many other benefits including health and mental well-being, social contact and physical exercise. The developer implies in its application that the site does not already have community facilities such as a communal shed and a community plot. In fact we already have 2 communal sheds and several community allotments used by a range of local groups for many years. We therefore believe the developer is trying to deceive the public and the council into thinking that the allotments do not provide for the wider community. 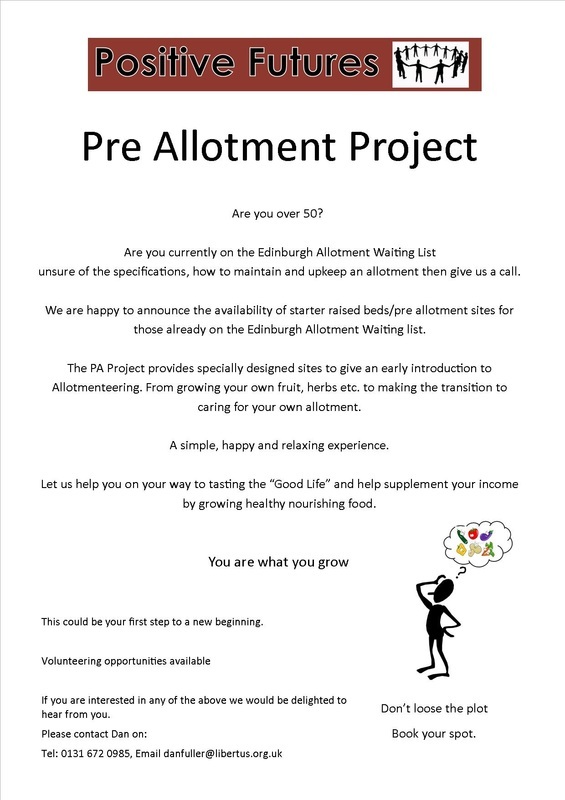 There is already a waiting list of around 3000 for allotments in Edinburgh. Losing the site would be contrary to Edinburgh Council policies to create more allotment sites to meet this demand. Additionally, the site is already protected open space and if any development went ahead, the developers would need to provide a suitable alternative site within the vicinity to replace all the allotments lost. The developer has presented no plans to do this. The developer is clearly trying to wear the local community down by resubmitting applications to have the site developed. Since 1998 the community have successfully fought off several attempts by this large commercial organisation. This company has substantial resources to try to remove plotholders from the site and have employed a slick PR company for this current application. Craigentinny and Telferton Allotments is a registered charity and relies on the goodwill of the local community and volunteers to protect the site for future generations. The local community have many ideas and plans for the site which they look forward to implementing once this dispute is settled. Make sure you give your name and address – anonymous objections will not be considered. Using the portal you can view the application and track progress. The main documents to look at are The Design Statement, Pre-application Consultation Report, and the Supporting Planning Statement. Objections carry more weight if they are personal. Use the list of objections below as a basis for your objection. Please express these objections in your own words otherwise the planners will place less importance on your submission. Site protected as open space in current Local Development Plan and emerging Council plan. 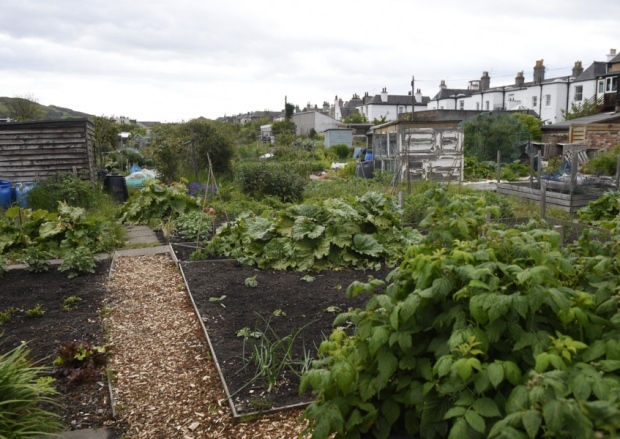 Huge demand for allotments in Edinburgh: we need more - not less. (Waiting list around 3000, or 8 - 10 years.) The proposed development reduces the number of allotments and is not in line with the Council’s allotment strategy. Lack of accessible open space in our area - the standard distance is a maximum of 400m. For local residents living around the allotments the distance is nearer 600m before you get to a significant open space. 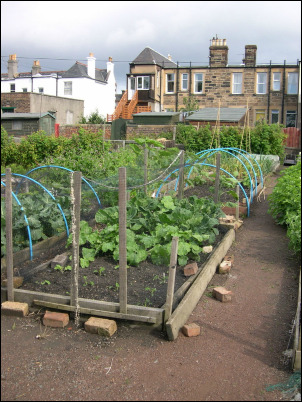 Edinburgh Council Planning Committee approved guidelines requiring allotments to be protected from development within the terms of open space policies, any prospective developer is required to provide a suitable alternative allotment facility in the near vicinity to compensate for any loss. You may wish to include some of the following objections of which the first four are likely to have the strongest impact at this stage. Please encourage other allotment holders, friends, family or other interested parties to submit objections. Objections should also refer briefly to the benefits you get from working your allotment. If you made comments at the public exhibition you still need to submit a formal objection. The application is for planning permission in principle – this means the plans as presented could fundamentally change if approval was granted and the number of allotments lost could increase. The current application would see the loss of at least 50% of allotments. The proposal is for half plots which are smaller than the size stated under statute. 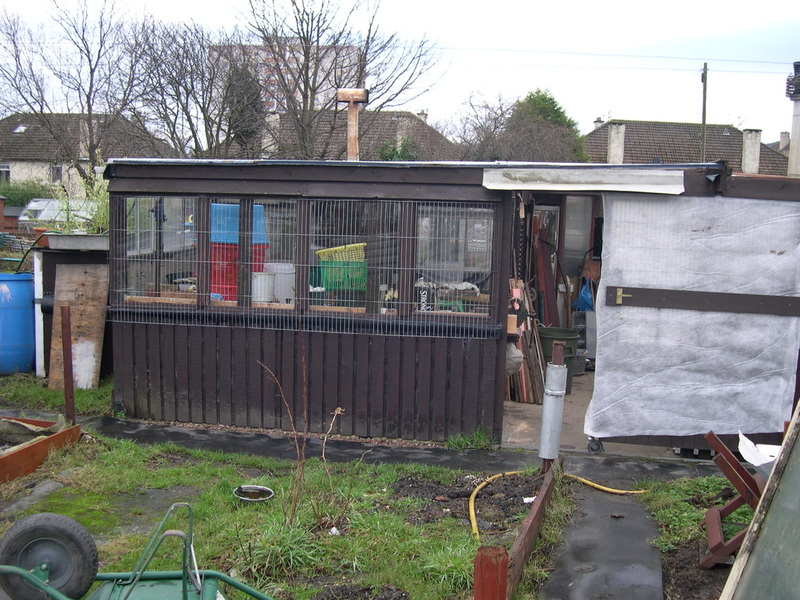 The Community Empowerment (Scotland) Act 2015 defines a standard allotment as being 250sq.m. This being the case only 24 new plots can be created. The PR company is representing the development as a formalisation and improvement of the allotments, but this is just a means to get approval for houses and profit. Past approaches by Edinburgh Council to purchase the land were refused, but now the developers have declared an intention to “donate” a small part of the site to the Council. The application may suggest the Council have discussed and agreed the application – this is not the case. In the meantime the committee is getting MP’s, MSP’s, Councillors, Community Councils and a range of other local and national organisations to submit objections to support the campaign. The committee will be submitting an objection report on behalf of the allotments but it is crucial you make your individual views heard. 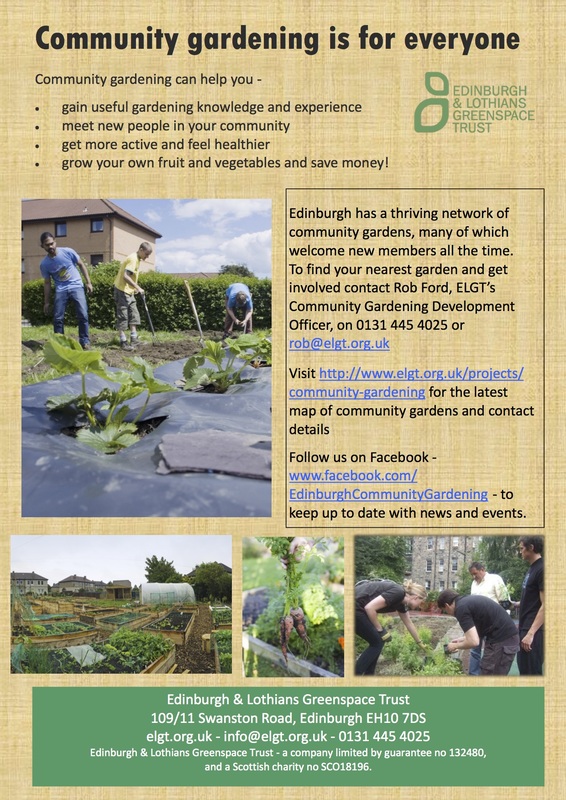 On Tuesday 10th November FEDAGA held a Special General Meeting to discuss the proposals being put forward by the City of Edinburgh Council that will affect all Council-managed allotment sites in the city - see Briefing Note below. Plans have been lodged to build dozens of new homes on the site of historic allotments. The 90-year-old plots at Telferton have been lovingly maintained by generations of families since the 1920s. But proposals by Bett Homes to construct flats and houses on the site – currently designated “open land” in the council’s city-wide planning blueprint – mean residents are now battling to keep their gardens going. Read the Minutes of the 2015 AGM here. 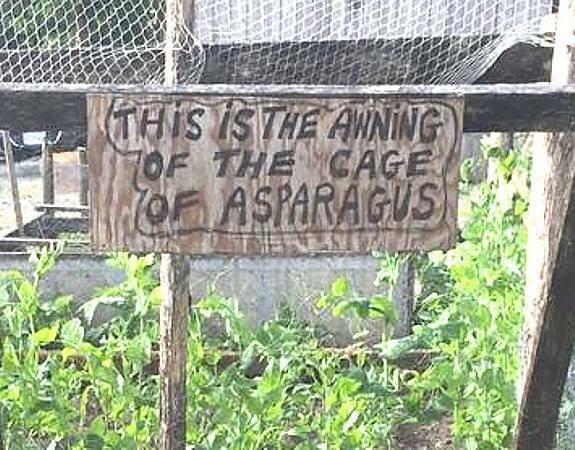 A year on from the City of Edinburgh Council's out-of-the-blue assault on allotment holders, they're back with a fresh proposal. This time it looks as though they may have actually given the matter some thought before publishing. The Council's Proposed Budget for 2016-17 has just been issued. It contains a proposal to save £21,000 from the allotment service. They intend to increase rent charges by 10% and adjust the concessions to cover only those in receipt of unemployment benefit or a state pension. This will save £11,000. Also, it is proposed to reduce waste disposal and pest control services to cut £10,000 from expenditure. The Council says that 2800 applicants are on the Waiting List for an allotment. They note that the Community Empowerment Act requires the Council to ensure this number is no greater than 50% of the number of plots provided. The unstated implication might be that they intend to deal with this challenge by pricing plotholders out. This contradicts the intended effect of the Community Empowerment Act and negates efforts to promote a healthy lifestyle and diet. The Council's statement goes on to claim that "new allotments strategy is being drafted in partnership with FEDAGA to plan for the new statutory duties". If only this were true! The deadline for issuing a draft strategy document was missed 2 months ago. Over the last year it has become plain that the Council is unwilling or unable to take the time to engage with positive proposals to improve the management of the allotment service. The forum for discussion has fallen into abeyance. Recent history may prompt one to wonder what is the point in entering into partnership with the Council. In 2009 a two-stage agreement on rent was entered into. The first stage, from 2010 to 2014 saw the rents rise year on year. The Council implemented this. The second stage was to see a rent freeze from 2015 to 2020. The Council has not been so keen to honour this part of the deal. FEDAGA is concerned what the Council's proposed cuts to waste disposal and vermin control will actually mean. FEDAGA believes neither of these services will be continued as the savings quoted equate to the annual cost of these functions for the last year. FEDAGA has secured a meeting with officials which will take place later in the month. Before that members have an opportunity to hear how we got to this position and help to chart a route forward. 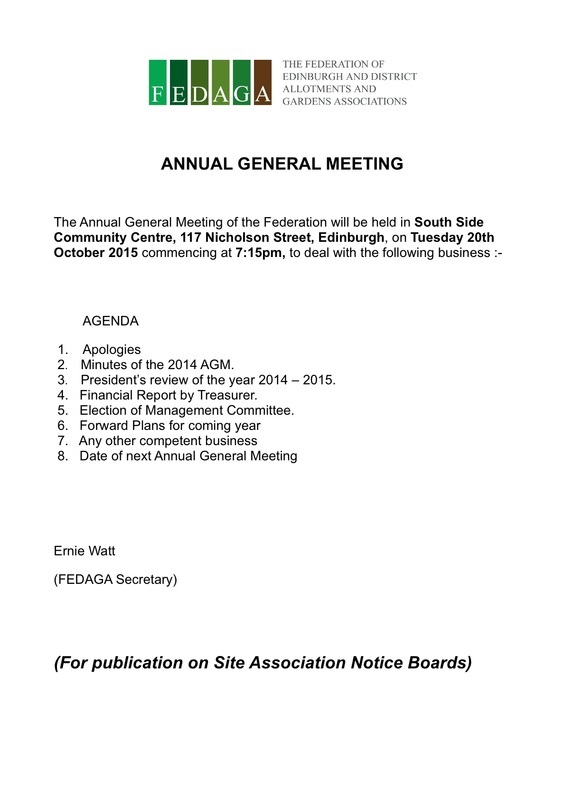 The FEDAGA AGM will be held at 7.15pm on Tuesday 20th October in the Southside Community Centre, Nicolson Street (opposite Tescos). I hope you will be able to attend. Feedback on their proposals can be sent to the Council here. ​And see our 2015 Campaign page here. The Scottish Allotments and Gardens Society (SAGS) has been short listed for the prestigious Herald newspaper Public Campaign of the Year Award 2015. This is recognition of the collective effort in which the SAGS committee with allotment Forums, Federations, Associations and individual plot-holders from across Scotland worked together on the Community Empowerment (Scotland) Bill - an effort in which everyone's individual skills and knowledge was needed to respond to the numerous consultations and legal documents surrounding the Bill. The final culmination of an immense amount of time and effort was a concerted campaign involving the press and many MSPs to ensure that the unique identity of allotments was protected and that everyone who wishes can have access to an allotment plot of 250 square metres in a reasonable time scale at a reasonable rent. For SAGS the legislative process has been a long journey. It began with a petition to the first session of the Scottish Parliament in 2000 and continued with the enactment of the Bill in 2015. However, before Part 9 (Allotments) of the Community Empowerment (Scotland) Act 2015 comes into force there will be transition agreements, secondary legislation and guidance notes to be agreed so the process is still ongoing. SAGS thanks you for all your support over the years. Click here to read the Minutes of the FEDAGA Management Committee meeting of 13th October 2015. The City of Edinburgh Council has issued a Plotholders' Survey. They have contacted all those plotholders who have provided them with their e-mail details. Printed copies are to be distributed to the rest via site representatives. FEDAGA had hoped that hard copies would be mailed out to all plot holders but the expense of doing this was prohibitive. This is a pity as hard copies mailed out got a 65% response. The last survey, sent via e-mail got a 15% response. FEDAGA made suggestions to the Council regarding questions, but these were not taken up. Despite this, FEDAGA would encourage members to take the time to respond. The questions cover satisfaction with your plot, provision of facilities, management of sites, concessions and proposals for future allotment administration. If you have not already done so, please look at this survey and make your feelings known. Click here. The closing date is 2nd October. and compensation payable to tenants of allotments for loss of crops where the allotment is resumed by the local authority. Road shows related to this consultation will be held in Edinburgh, Glasgow and Inverness (Further details to follow). The consultation will close on Friday 16 October 2015. FEDAGA Management Committee Minutes - August 2015 - Click here to read. FEDAGA Management Committee Minutes - July 2015 - Click here to read. The summer meetings of the FEDAGA Management Committee will be at Redhall on 14th July, Inverleith on 11th August and Midmar on September 8th. The next meeting at the Southside Community Centre will be on 13th October and will be followed the following week by the Annual General Meeting on 20th October. All meetings commence at 7.15pm. FEDAGA Management Committee Minutes June 2015 - Click here to read. FEDAGA Management Committee Minutes May 2015 - Click here to read. 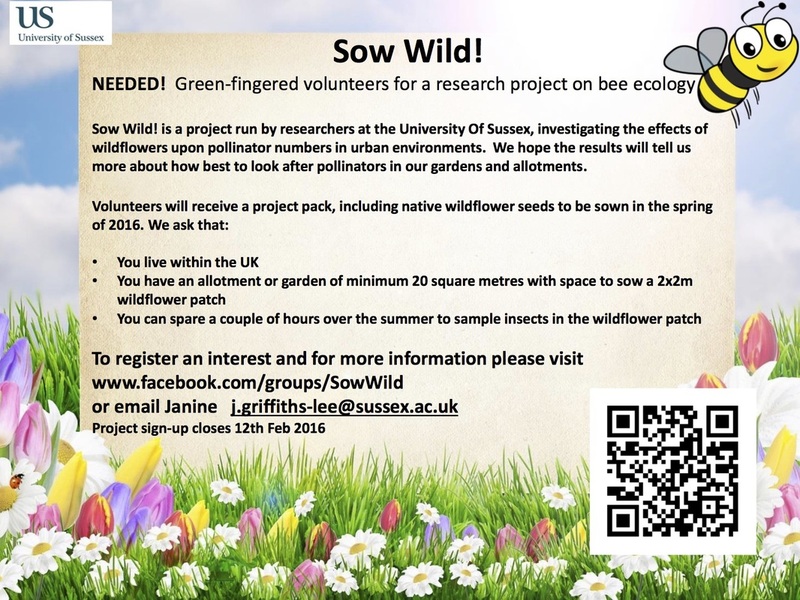 GROWING SPACES SURVEY: HELP REQUIRED. Researchers at Central Scotland Green Network (CSGN) are asking community organisations and individuals to put their growing spaces on the map by completing a brief online survey. Participants will be able to trace the boundary and entrances of their allotments, orchards and community gardens as well as answering a few questions about their spaces. The survey runs until 30th June and will help CSGN produce a definitive map of all community growing spaces across the Central Belt. FEDAGA Management Committee Minutes - 10th March 2015 - Click here to read. Tiphereth Trading are keen to supply FEDAGA members with compost. 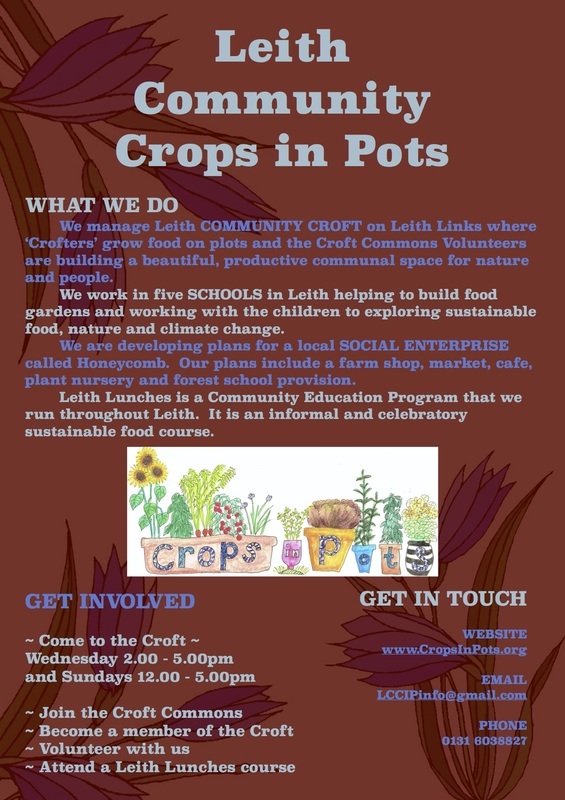 They are a small Social Enterprise and charity based in Colinton. More details can be found here. The University of Reading and the Institute of Occupational Medicine (IOM) are carrying out a research investigating whether or not there is an effect of low level soil contaminants on human health, resulting from working on allotment sites and consumption of allotment produce. The study is being funded by the UK Engineering and Physical Sciences Council and IOM. 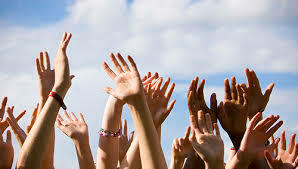 They would like to recruit adult volunteers (aged 18 years and above) to participate in the study. They are interesting in (a) those who have allotments and consume produce from their allotment, and (b) adults in a household who consume produce from allotments owned by a member of their household. 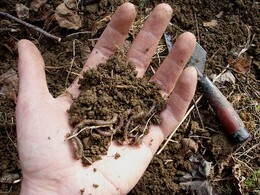 (1) Free NRM soil nutrient testing of soil from your plot. (2) National Garden gift vouchers will be issued on completion of the study. (3) Increased understanding of the human health risks associated with allotment land use will benefit the society in general. 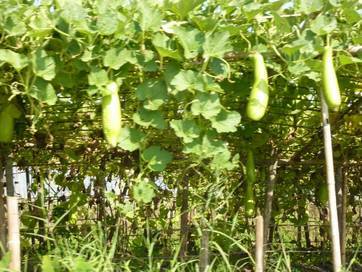 An Introduction to Organic Gardening. The next course run by Bridgend Growing Communities starts on Saturday 8th March. Further details here. This year's rent invoices have been issued. For the avoidance of doubt, this year's bill doesn't show site association and FEDAGA fees. However, they are included within the total. Site association fees are £1 and FEDAGA fees are £1.50 so each bill represents £2.50 less than the expected total. 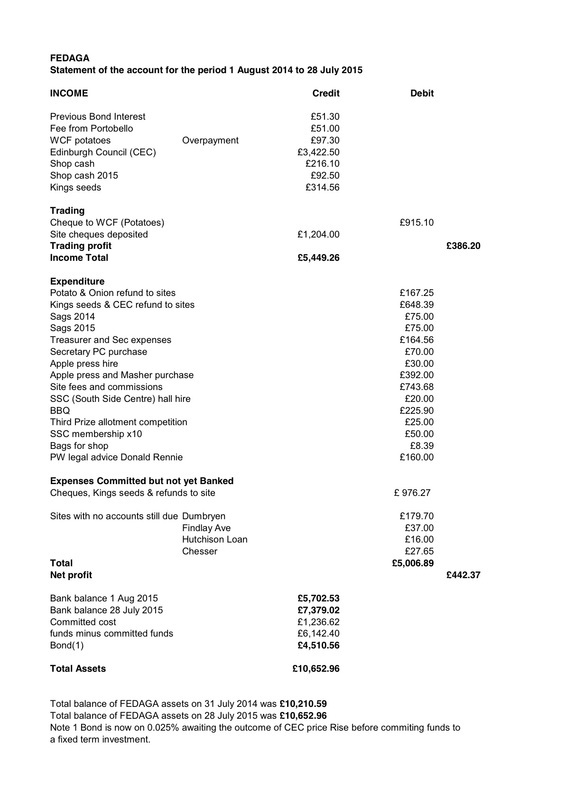 For example: A full plot with a £100 bill divides into £97.50 rent, £1 site association and £1.50 FEDAGA fees. The City of Edinburgh Council has published "Budget Proposals: Overview of Feedback and Engagement" which gives a flavour of the responses it has had to its suggestions on how it can plug the funding gap. The full paper can be read here. 3.21 The Council’s proposal to raise an additional £150,000 of revenue through allotments attracted a large volume of responses. All responses were in opposition to a “tripling” of the membership fee seen as necessary to generate this additional revenue. 3.22 Respondents stated their belief that the Council had entered into a binding agreement with the Federation of Edinburgh and District Allotments and Gardens Associations (FEDAGA) that saw full-plot allotment fees increase gradually from £50 to £100 (the current level) and that this price would remain frozen until 2020, when increases would thereafter be linked to inflation. 3.23 Respondents stated their belief that the current rent level ensures the Allotments Service is self-sustaining. There is some complexity around this because the gross revenue obtained by the Council from allotments is reduced by the cost of billing and processing a large number of payments for small charges (half plots and smaller, with significant discounts). In any case the current charges make no contribution to the development of new allotment sites. 3.24 Respondents felt that allotments made an important contribution to the mental wellbeing and physical health of allotment holders. They felt it was important for individuals to be connected to the food they eat and its local production. These stated aims and benefits were felt to support a number of the Council’s broader aims and objectives. 3.25 Some respondents felt that it was appropriate to have some increase to charges, given the Council’s overall financial position. However they rejected the scale of the increase, which was not felt to be a “fair” rate as required by the appropriate legislation on allotments.  Recruitment of volunteers to manage administrative tasks for the allotments service. Click here to read the Evening News article reporting on the worst burst of mindlessness to hit Edinburgh allotments in many years. FEDAGA will be continuing to ensure that the Council's priority is security (along with safety) on the city's allotments. To ensure the Police take these matters as seriously as they should it is important that each plotholder who has been affected contacts the Police and lodges an incident report. The Police will only provide sufficient resources to combat or deter the vandals by reacting to a significant number of crimes. Sadly, in this case, there has been. Threat to allotments at Telferton. FEDAGA has learned that there is a renewed threat to the independent Telferton allotment site. This site has fought off an attempt in 1999 by previous owners to build houses on the land. Since 2010 it has been protected by being designated as open land on the Local development Plan. However, the current owners, Gladedale Enterprises - who own Bett Homes - are trying again. This time they are trying to divide opposition by consenting to a small piece of land being retained as allotments. The Telferton site association is, not surprisingly, opposed to the proposal. They state: “The current policy allocation, and the proposed allocation in the new LDP, reflects the current use of the site as allotments. However, this use of the site for allotments is unauthorised, and the occupation of the site has not been sanctioned by the site owners. "It would appear that the effective squatting on the site is taking place as it is perceived by the allotment holders that this use is approved and sanctioned by the Council due to the current, and now proposed development plan allocation. This perception is misinformed, and the Council’s allocation of the site as allotments cannot continue. "There is now, however, an opportunity through the new LDP, to review this allocation and seek an appropriate long term solution to this site which reflects its private ownership, but also helps to meet the needs of the local community. "The site is an effective, viable and appropriate “infill” housing site, and could be developed to provide around 30 new houses and the provision of formal allotment plots and associated facilities. "In addition to providing security of tenure for allotment holders, this approach to the redevelopment of the site would also make provision for new affordable housing in line with current policy requirements. a time when the proposed housing-led regeneration at Leith is being reconsidered and requires a fundamental reappraisal of the housing land supply in the City. Last year the Planning Committee responded: "There is no justification to remove the open space designation from these sites. Any future planning applications for housing on these sites would be assessed against the relevant LDP policies and Open Space Strategy. If supported, a financial contribution could be negotiated and secured through a legal agreement to offset any loss of open space". David Jamieson, the Head of Parks and Greenspace, writes: "Representations have been made to that version of the Plan. Those are due to be reported to Planning Committee on 26 February this year, then submitted to examination for an independent consideration of all representations. That examination can make changes to the Plan before it is adopted, which is due to be in early 2016. The Committee report will be available the usual five working days before the meeting date."